The visit is part of his department's review of 26 national monuments as requested by President Trump in an executive order. U.S. Interior Secretary Ryan Zinke will visit Maine’s Katahdin Woods and Waters National Monument next week as part of his agency’s review of 26 national monuments that have been designated since 1996. 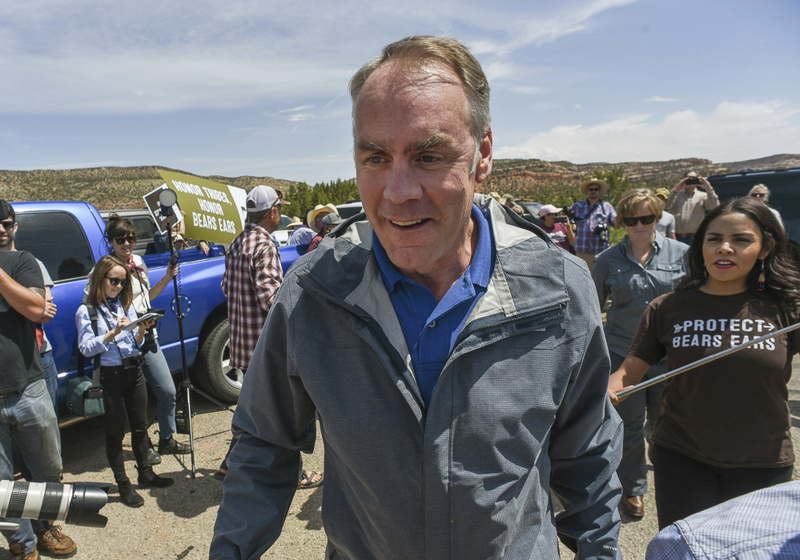 Zinke, a former congressman from Montana, confirmed the trip during a hearing Thursday morning of the House Interior Appropriations Committee, whose members were discussing his department’s proposed budget. 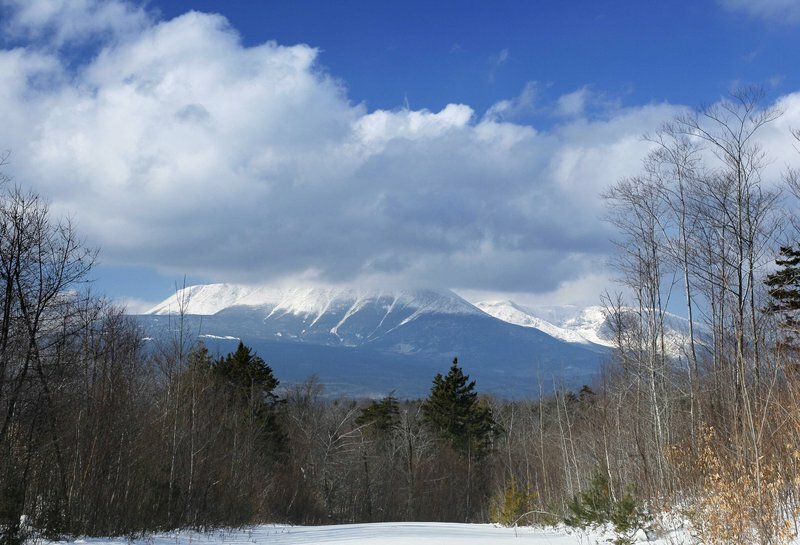 The Katahdin monument is smaller than 87,000 acres, but was added to the list in part because of heavy lobbying by Gov. Paul LePage, who has long opposed the designation and more recently barred the installation of signs directing visitors to the site. Pingree told Zinke on Thursday that she is glad he’s visiting and hopes he sees not only the natural beauty but the economic value of the monument designation in a part of the state that has been ravaged by mill closures and job losses. “So many people are coming around to say: It’s here, it’s been donated, there’s money behind it. We want this to continue,” Pingree said. She also called LePage a “lone voice” of opposition, although her House colleague, Rep. Bruce Poliquin, R-2nd District, also has questioned the designation. Brendan Conley, Poliquin’s spokesman, would not say Thursday whether the congressman wants the monument designation rescinded. Instead, Conley said “there are many unknowns about whether the White House has the legal authority” to rescind the resignation, and that’s one of the questions Poliquin has for Zinke. “We do not know the legal authority the president has to undo the actions of a previous president or the outcome of a potential ruling from the courts, which the congressman is concerned about,” Conley said. Conley pointed out that Poliquin, whose 2nd Congressional District spans the northern part of the state and includes the monument land, had long opposed “the unilateral designation by President Obama but understands that the former president did have the legal authority to do so at the time.” Poliquin also introduced the “Preserving State Rights Act” that would require any national monument designation by any president to first be approved by the sitting governor and state legislature where the land is located. In addition, Poliquin thinks the Katahdin land “would be better managed by state and local entities, rather than by the federal government,” Conley said, again referring to the congressman’s letter to Zinke. According to a press release from the Interior Department, Zinke will spend next Wednesday and Thursday in Maine. He will spend much of the day Wednesday touring the monument and on Thursday will meet with the local chamber of commerce, members of the Penobscot Nation and the Maine Woods Coalition. Zinke said that in his brief time as interior secretary, he’s learned a great deal about the Antiquities Act, the federal law that allows the creation of national monuments by presidents. Zinke said he already has spoken with Maine’s two senators, Susan Collins and Angus King, but has not spoken with the governor in person. It’s not clear if that will happen during his visit but Zinke did say that he would meet with family members of Roxanne Quimby, who donated the land for the monument and created an endowment. 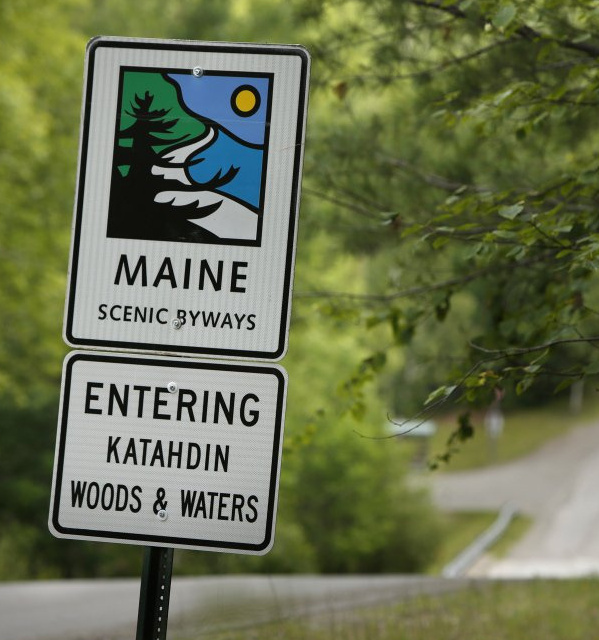 Zinke said the goal of his review, not just of Katahdin but of all the monuments, is to determine whether people are comfortable with it and whether it’s in their best interests. There is still uncertainly, though, about whether the Trump administration can undo a designation. The Antiquities Act says only Congress has that power. Morning Sentinel Staff Writer Colin Ellis contributed to this report.